I would like to share with you some interesting news. 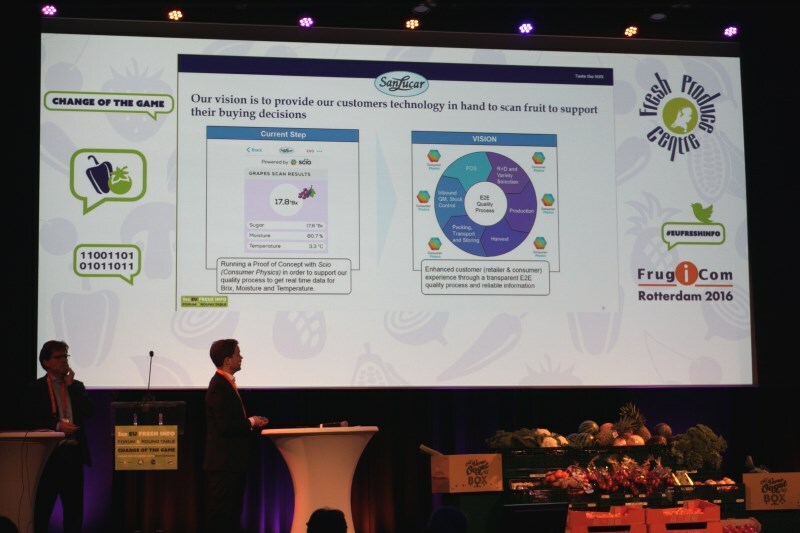 Last week I participated in a fascinating and well organized event in Rotterdam – the 3rd EU Fresh Forum. Top professionals gathered to coordinate an industry vision and a plan of action in the face of new technologies transforming fresh produce. The waves of the future are clearly rippling through the Rotterdam region, a global hub for produce logistics and trade. In the opening plenary session it was exciting to see SanLucar and Capgemini present a joint vision on data-driven brand creation, featuring SCiO as a core element. SanLucar, a leading global brand in premium fruit, aims to establish a new consumer experience centered around quality. 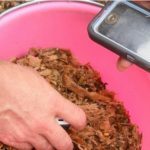 By using analysis across the supply chain they propose to ensure superior product quality from the farm, through distribution and retail, to the end customer. In their words: “enhanced customer (retailer and consumer) experience through transparent end-to-end quality process and reliable information”. A dominant theme at the conference was the emerging buying power of millennials, more likely to order produce online than to pick through market bins. Internet-savvy and health conscious, they expect produce with clear and consistent quality metrics that translate into value pricing, similar to any other item they can get on Amazon. 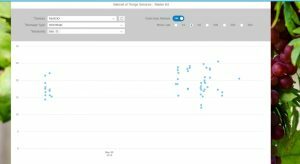 Since someone else will be selecting their produce, online shoppers need quantitative quality attributes, most importantly taste! 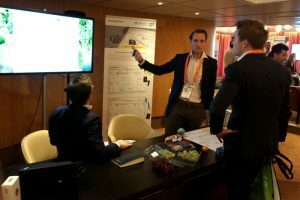 The solution was on display in the exhibition area, where delegates were thrilled to see how a quick measurement by SCiO allows both buyers and sellers to specify flavor. Capgemini, our hosts and partners, presented a live demo of integration into the SAP quality module. Grapes of various varieties were scanned by several SCiO devices – displaying measured nutritional values in real-time on a chart report. The speed, maturity, and seamless operation of the solution attracted huge interest. Another fun moment occurred during a tour of a local produce distribution warehouse, organized for event participants. At the quality station a gloved inspector squeezed half a melon in his hand to demonstrate Brix measurement, pouring juice on the refractometer window (and everything around). He then lifted the refractometer, attached a camera to the eyepiece, and recorded the raw image. Pulling a clipboard from a shelf below he penned 12°Bx into the shipment log. Spontaneously a SCiO was pulled out – one click and the same melon was measured in 3 seconds, displaying 12°Bx. Everyone was smiling: no mess, tiny device, fast and easy operation, high precision, auto-logging, exception alerts – the perfect Christmas present for a fresh produce quality inspector. Overall, it really was a great show, and it was impressive to see how companies of all sizes are teaming to enable real time, connected and efficient use of micro-spectrometry to totally change the fresh produce supply chain.